Wish I could get excited but can't. Still won't show in Canada on either iTunes or Amazon and don't have UP channel. Still upset and don't understand why they won't show in Canada if they're Christian channel. Should they show to everyone instead of just limited of people? Doesn't make sense to me at all. Yeah they are on iTunes. Just so you know, that' how i buy them because we don't have cable. They come out Friday morning after the airing the night before. I know We changed cable companies anghtd they do not carry it. I try to stay up to date on line. Sure wish there was a way of getting this show. I'm lost on Sat. night. Awesome! I really love watching the Bates. They are a real inspiration. so happy to hear the Bates back in 2017! So thrilled an excited to hear that Bringing Up Bates is being extended for season 4,And there will be Season 5....MADE MY DAY!! !Love you guys..God Bless!!!! I am so glad the bates will continue on. I enjoy watching them. I'm happy that Bringing up Bates got pick up for a 5th Season. I love the Bates. So happy, looking forward to season 5. 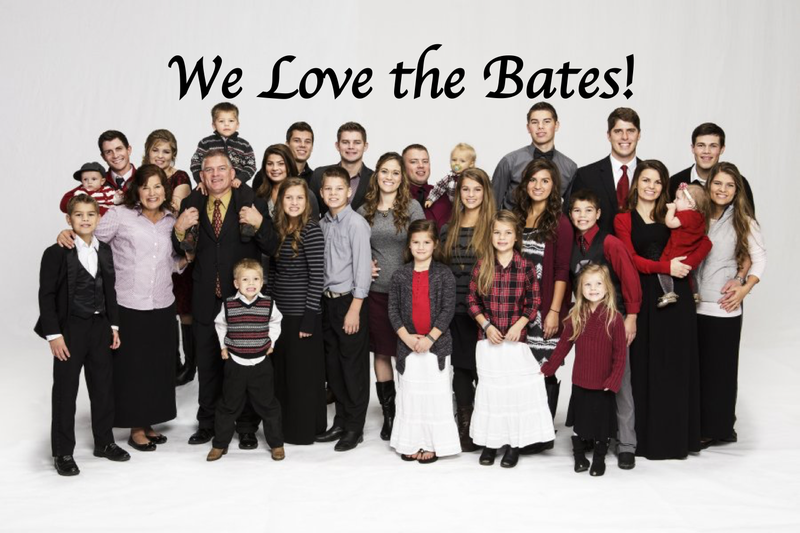 I really like watching Bringing up Bates. .
Best news, so excited they will be back for another season!! I'm glad the show got another season. Hopefully we will see more of Alyssa and John & Brandon and Michael. I have missed them on the show this season and they have'nt been seen that much as they have been on previous seasons. To Amy Winter, Why cant you guys work out a deal with Charter and bring the UP Channel back to Charter. I miss watching the Bates family and other movies on the UP Channel. Thank you. I dont know what Charter refers to, but there is clearly a difference in Up programing from their first years. I only watch Bringing Up Bates on Up now where I use to watch a lot of their other programing too. America's home videos has gotten gross and other shows are repetitive and nothing I would want my grandchildren to watch when they are visiting. Charter doesn't carry the ups channel. I miss my show. I'm glad they are returning for another season, but upset with UP. They only show 30 minute episodes and have been showing 13 episodes for every single season! I understood it for the first or maybe 2, but this is the 5th season. Show more episodes, UP and make them 1 hour or two 30 minute ones! One 30 minute episode is not enough. Yay! I LOVE the Bates family!